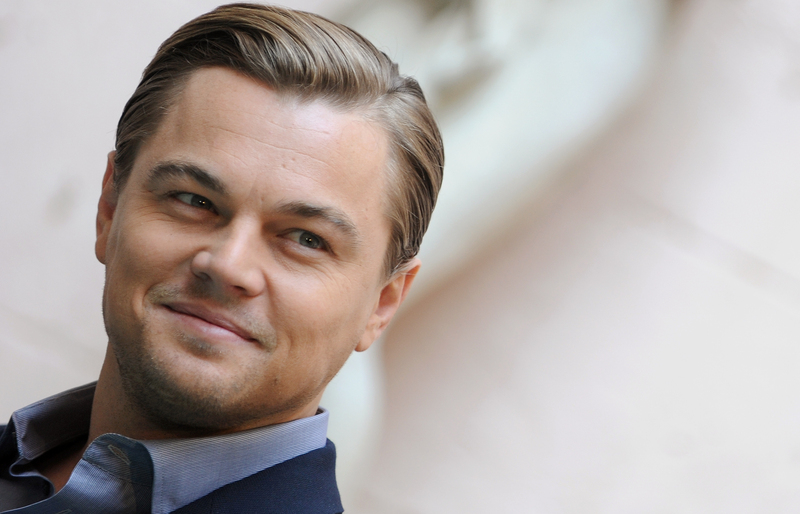 Is Leonardo DiCaprio At The 2015 Oscars? And If Not, Where The Heck Is He?! The Oscars this year have been going pretty smoothly thus far — awards have been given out, Neil Patrick Harris introduced a segment in his underwear, Oprah won a Lego Grammy — but something's missing, and it, embarrassingly, took me a while to realize what it was. WHERE IS LEONARDO DICAPRIO?! Why isn't he somewhere in the crowd turning down pizza like last year? Speaking of, where's the pizza? No. I digress. This is about Leo and finding him, because, for real, we need to make sure he's OK.
Well, the simple answer is that DiCaprio wasn't nominated for an award this year, wasn't on the presenters list, and (even more sad) wasn't on the performers list, so dude just isn't there. It's a bummer, I know. He and his man-bun and his beard could've showed up on a triple date and sat there in the audience participating in Neil Patrick Harris' attempts to best Ellen DeGeneres' hosting from last year. Or, perhaps even better, he could've ditched the man-bun and beard and surprised us all by bringing back clean shaven Leo. He could have even worn a light blue suit and matched with Jared Leto. The possibilities were endless! But alas, DiCaprio didn't show up. So where is he? To be honest, who the eff knows. His last tweet was on Feb. 13 and, as always, was about environmentalism. His last Instagram was about the World Wildlife Fund. Come on, Leo! Do us a solid and live tweet your experience of being on an exotic beach or something, my god! Because of this, I'm going to just have to go with the latest rumors and make a grand assumption about where DiCaprio is. According to People, he was getting flirty with Rihanna at her 27th birthday party on Friday, so... I'll say after sleeping off his late night out on Saturday, he took a private jet to a private island where one of his many yachts was docked and then set off on a trip with 20 of his best friends and *cough*some models*cough*. There is no Internet service on the boat and no televisions, and he's not paying any attention to the Oscars or eating any pizza. The end.